I had heard the phrase “two under two” many times before I joined the club myself. I can’t say I ever thought I’d be in the two under two club, but as I type this my 22 month old is chatting away in her crib and my almost one month old is being rocked in Daddy’s arms on the couch beside me. 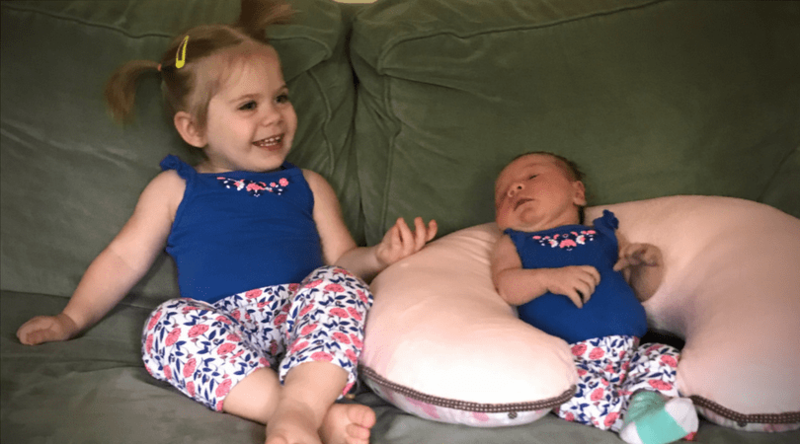 I didn’t read much before the birth of our second daughter about managing two under two but I did chat with a few other moms about what the transition to two young children was like for them. The nuggets of wisdom that I tucked away from those discussions were helpful to me as we have now navigated the early stages of the two under two transition. I don’t claim to be any expert at managing two under two. (I am only about a month into it myself!) It’s my objective to simply share a few of the things I’ve learned as I’ve navigated these first few weeks home. I’m sure I still have much more to learn in the coming weeks, months, and years! 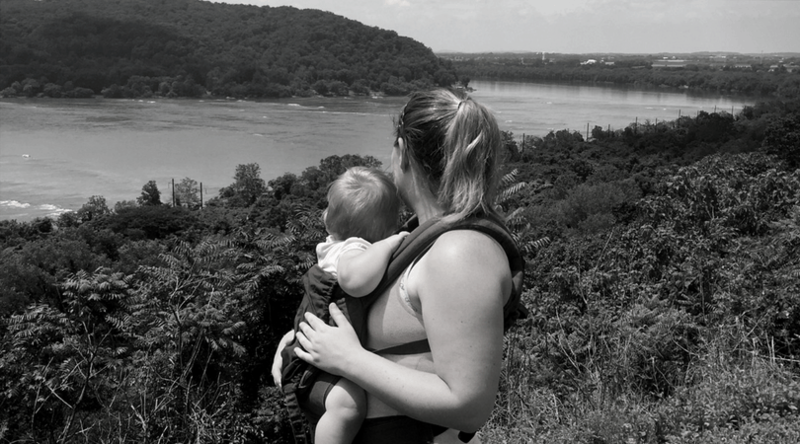 If you are a mom who is planning for, expecting, or currently in the two under two club then these are my practical tips to pass along to you. 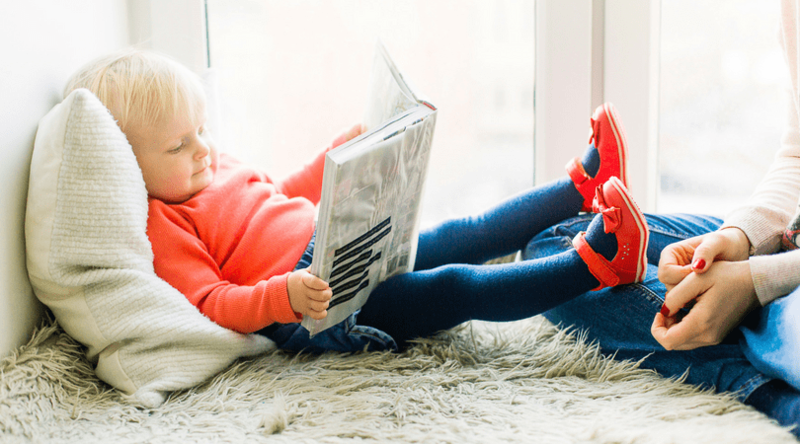 Every parent, toddler, and baby have their own personality and every family has its own dynamic, so these tips may not apply to or work for everyone. However, I hope in some small way they may help you prepare for the chaotic but rich season of expanding your home to include two under two! 1. Keep a changing table downstairs with diaper bins for both children. 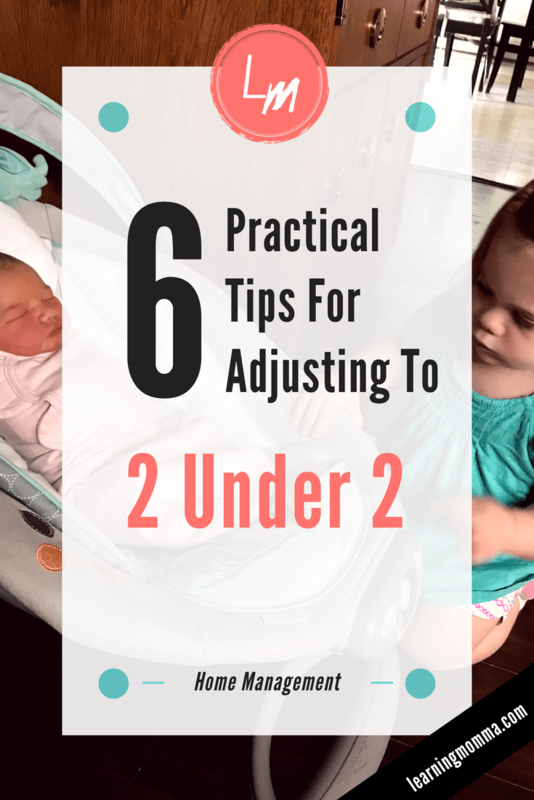 This is a small practical way to prepare your home for the adjustment of two under two, but it is one that has made diaper changes much easier to manage – and there are A LOT of diaper changes! If your home decor doesn’t allow it this may not be a tip for you, but our house is lived in and our living room doubles as a play room so adding a changing table to the decor is not too out of place. I bought a white used changing table that has two basic open shelves beneath it and painted it dark brown to blend in a little bit better with our living room. I then purchased six clear plastic bins (that snap shut!) at Walmart to store clothing and diapers underneath. (We started with cloth bins underneath but as our toddler got older the contents of the bins were strewn across the floor every day. Bins with lids that lock when the handles are pulled over them are a win for keeping them from tiny toddler hands!) The storage bins are a very decent size. We keep one whole bin full of newborn diapers and one full bin full of toddler diapers. We also keep a bin full of clothing for each child under the changing table for quick access if a diaper blows out or is wet through. 2. Start early on some sleep training basics with baby #2. It may seem strange to bring up sleep training when discussing a family size topic. However, implementing some basic foundations for sleep training with our youngest daughter has saved us many tears and a lot of stress! There are many differing opinions on when to introduce sleep training for a baby and what methods to use. We didn’t implement a rigid strategy for sleep training with our newborn daughter, but we did start to implement a basic sleep schedule for her from the day we arrived home from the hospital and when she turned two weeks old we started to train her to take naps and sleep at night in her crib. This training did involve periods of tears (from mommy and baby). However, it has been a huge stress reliever when managing my day at home with my two under two. Because we worked to get our youngest daughter to sleep in her crib in her room I am able to devote more time and attention to my toddler throughout the day. I don’t have a baby constantly on my body in a sling so there are periods of 1-2 hours each feeding cycle that I am able to hold my toddler on my lap and read her books or get her lunch without losing my mind. 3. Arrange your day so that your toddler and baby have offsetting schedules. When we first ventured into the crazy world of two under two, I thought the exact opposite of this. I thought that it would be easiest to have both girls wake at the same time in the morning, eat “lunch” at the same time, nap as close together as possible, and go to bed for the night at the same time. However, I quickly discovered that for us everything went MUCH smoother if I kept their schedules offset from each other. Instead of keeping our girls’ schedules aligned, I made a few adjustments to our youngest daughter’s schedule so that I was able to devote more individual attention to each child. I start her morning one hour before my oldest daughter wakes up. This allows me to nurse her and get her down for her first nap before our toddler even wakes for the day. I then have two hours to devote to my toddler before my baby wakes to nurse again. Because I shifted my baby’s first feeding of the day to be an hour sooner, my baby also then nurses one hour before my toddler’s lunchtime. This means that I can nurse my baby and get her back down for her second nap before it is time for me to prepare my toddler’s lunch. My toddler naps an hour after her lunch and I then have an hour to myself to eat lunch before my baby needs to nurse again. I am able to nurse my baby and get her back down for her next nap before my toddler wakes for the afternoon. At bedtime I nurse my baby again one hour after my toddler’s bedtime, so I am able to get my toddler down for the night and then proceed to nurse my baby again. In general, I have built my daughters’ schedules to offset each other so that I am able to have individual time for each of them (and also avoid needing to carry them both up and down the stairs at once!). My stress level has been helped immensely by this since I do not feel as though I am constantly juggling competing priorities for each girl. 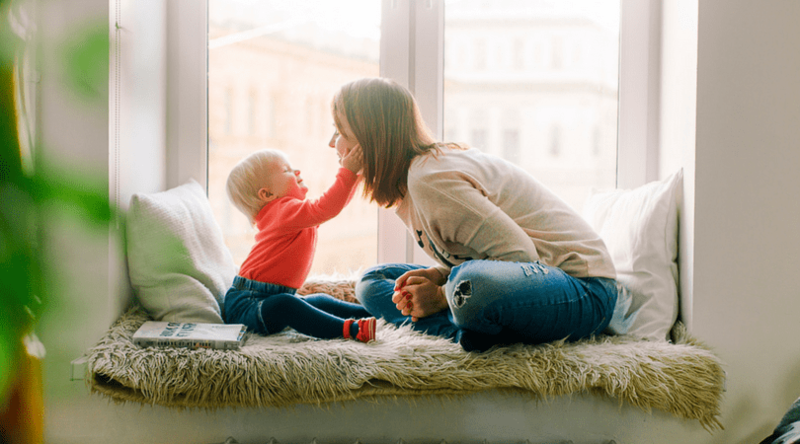 It has also served my toddler emotionally to be able to have some one on one time with mommy each day instead of sharing every moment with the new baby. I’m sure some of this will shift as our youngest daughter’s alert time increases each day, but the offsetting naps should still allow for some individual time for each child. 4. Offer your toddler a special activity that is only allowed when you are nursing the baby. This tip was a piece of advice given to me by multiple different people soon after we made the transition to two under two. I’ve tried to implement it, but I have to admit that I haven’t been very consistent with it to date. When I have done this it has helped to keep my toddler from clawing at my knees and whining through a nursing session. I try to reserve my toddler’s favorite Netflix show to let her watch exclusively while I am nursing the baby. This gives her a new distraction to enjoy so she isn’t feeling the neglect of my attention as strongly and it gives her something to focus on other than the mischief that she can make while mommy is unable to get up and stop her. 5. Stock up on freezer meals before the baby arrives! This is a tip I would give to any expecting mother, whether they have a toddler at home or not. Having freezer meals ready before bringing home a newborn saves a lot of meal planning stress! My newest favorite way to freeze meals is to prep several recipes in bulk, fully cook them, and then freeze them in individual serving containers. It’s then easy each day to pull out whichever meals my husband and I are craving and simply thaw and microwave them to eat! I made about a month and a half worth of meals before we brought baby #2 home and it has made the evenings much more manageable with a hungry fussing toddler and typically restless baby. You can read some of my freezer meal recipes and strategies in more detail here. 6. Do your best to devote some one on one attention to your toddler in your baby’s early weeks. Our toddler had a REALLY rough time with the transition when we brought our new baby home. Our once sweet, obedient, and sleeping well little girl suddenly started to throw terrible tantrums, yell “no!” at every turn, and take hours to settle for sleep at night. She was harder to manage than our newborn (a dynamic that I was not expecting in the transition to two under two)! When my husband went back to work, our toddler started to behave more like herself again. I think a big reason why was that she had more of MY attention again. Even though her baby sister was still home with her all day, I was forced to pay more of my attention to our toddler again when I was left home with the kids alone. I think while my husband was home from work those weeks that she was vying for the attention I was not only giving to the new baby, but to him. If I had been more diligent to give her more of my exclusive attention right away, her behavior may have adjusted much quicker and easier to the family transition. If you are thinking about or are about to enter the “two under two” club, then I hope these tips are helpful to you! It is a chaotic and exhausting club, but it is a rich one. The early days are hard but I look forward to the joy of watching my two girls grow through life together – less than two years apart!